Citizens have a number of ways to maintain control over the government. The most obvious way is voting into office candidates who understand and will defend the Constitution. But citizens can also influence those officials already in office by writing them letters or e-mails, or calling them on the telephone. Also, citizens can run for office themselves, and challenge in the next election those who currently hold office. With all these options, and so many ways of exercising each of them, how are citizens to know what they should do? How, for example, should they vote in an upcoming election, or what kind of letters should they write to their Representatives or Senators? Citizens must understand what the Constitution says about how the government works, and what the government is supposed to do and what it is prohibited from doing. Americans must also understand their responsibilities as citizens, no less than their rights, and be able to recognize when government, or other citizens, infringe upon those rights. This civic knowledge should form the core of American public education. Knowledge is, in every country, the surest basis of public happiness. In one in which the measures of government receive their impression so immediately from the sense of the community as in ours, it is proportionally essential. To the security of a free constitution it contributes in various ways: by convincing those who are entrusted with the public administration, that every valuable end of government is best answered by the enlightened confidence of the people; and by teaching the people themselves to know and to value their own rights; to discern and provide against invasions of them; to distinguish between oppression and the necessary exercise of lawful authority; between burdens proceeding from a disregard to their convenience, and those resulting from the inevitable exigencies of society; to discriminate the spirit of liberty from that of licentiousness—cherishing the first, avoiding the last; and uniting a speedy but temperate vigilance against encroachments, with an inviolable respect to the laws. Washington, Jefferson, and the other Founders knew that without enlightened citizens keeping a close eye on their government, the American experiment in freedom would be short lived. The Alphabet of Political Freedom that follows offers short, clear explanations of what free government looks like and the principles upon which it rests. The sixteenth president of the United States, Abraham Lincoln was born on February 12, 1809, in a log cabin in Kentucky. He moved to Illinois in 1830, became active in Whig politics, and served four terms in the legislature there from 1834 to 1841. Lincoln began a law practice during this time, and also served a term in the U.S. House of Representatives from 1847 to 1849. He joined the new Republican Party when it was formed in 1856, and he ran as the Republican candidate for U.S. Senate in 1858, which was the setting for his famous debates with Stephen Douglas. Lincoln was elected to the presidency in 1860, led the Union to victory in the Civil War, and was assassinated shortly thereafter by a southern sympathizer on April 14, 1865. Lincoln is most well known for his leadership of the Union during the Civil War and his role in ending the practice of slavery in the United States. At the time of the founding, slavery was universally condemned by leading Americans as a moral wrong; at the same time, it was a deeply entrenched institution and many Americans, especially those in the South, had vested economic interests in slavery, and therefore it was impossible to eliminate slavery through the consent of the governed. The founders chose to confine slavery to where it already existed in the states, prevent it from spreading to new federal territories, and build public opinion to support laws eliminating slavery, thereby hoping to place slavery in the course of ultimate extinction. By the year 1800, half of the original states had either ended slavery or were in the process of doing so. But in the course of the 19th century opinions regarding slavery began to change. Increasingly Americans were forgetting the principle of human equality and adopting a new view that slavery was a positive good to be encouraged, instead of an evil to be tolerated only out of necessity. Lincoln above everyone else saw the need for a statesman to remind the people of their original principles; it was thus a constant theme of his speeches – even in his days as a young politician – to reflect on the Declaration of Independence in his effort to restore the founding principles to their rightful place in the public mind. For Lincoln, driving slavery out of existence in America and recovering the principles of the American founding were intrinsically tied together. As Lincoln explained here, the ultimate principle of American government is not pure majority rule; in other words, even in a democracy, the majority cannot legitimately vote away the rights of the minority. Democracy itself is grounded in the idea of equal rights, and so American government, as Lincoln explained, is first and foremost dedicated to the preservation of equal rights; the power of the majority to rule is always limited by this more fundamental principle. Therefore, “popular sovereignty,” where the majority are allowed to vote in favor of slavery – that is, in favor of denying the natural rights of a fellow human being – was most certainly not, as Lincoln explained over and over again, consistent with the American understanding of just government. This is why Lincoln saw the extension of slavery into the new territories as a radical departure from the principles of the founding. When the national government, in the Kansas-Nebraska law, took a neutral position towards slavery and allowed it to extend into the territories, Lincoln simply pointed out that the nation had now rejected its founding idea of equal rights, and replaced it with the right of one man to enslave another. As Lincoln explained in his famous “House Divided” speech, the country had come to a point of division over its very reason for existence. This division led to war – a war precipitated by southern secession and military action, and which Lincoln sought mightily to avoid – and Lincoln is justly revered for his steadfast defense of the Union in the prosecution of the war. The nation’s struggle with the slavery question, as Lincoln constantly reminded Americans, was really a struggle over the very ideas of American government. In this struggle, the greatness of Lincoln’s statesmanship was in his ability to understand the most prudent means to return the nation to its original principles. In this effort to restore the principles of the founding to their rightful place in the public mind, Lincoln was truly a member of the founding generation, in spirit if not in time. Commonly known as the “Bill of Rights,” the first ten amendments to the U.S. Constitution were enacted shortly after the Constitution’s ratification in 1789. The amendments make clear that there are certain freedoms that the people do not give over to the government when they consent to form a political society, and they name certain of these reservations of liberty – freedom of speech, freedom to keep and bear arms, etc. – in writing so as to guard against the danger of abuse of power. In the national debate that took place in 1787 and 1788 as to whether or not the Constitution should be adopted, a frequent objection brought up by Anti-Federalists was that the Constitution lacked a bill of rights. This stood in stark contrast to most state constitutions, many of which contained elaborate bills of rights as their centerpieces. The framers of the Constitution – Federalists just as much as Anti-Federalists – certainly believed that the securing of rights was the primary purpose of government. So why did the framers fail to include a bill of rights in the original constitution? As Alexander Hamilton pointed out, a bill of rights was something that was needed in a monarchy but not in a democracy. In a monarchy, all power is presumed to reside with the crown. Under such a system, if the people want any liberty at all, they must win an exception from the general rule that the crown possesses all power. This is exactly what the British Magna Carta had been – certain reservations of power for the people (and nobles), where otherwise the assumption was that the king possessed all power. But this is the wrong way to think about things in a democracy, Hamilton pointed out. As we see in both the Declaration of Independence and the Preamble to the Constitution, a democracy rests on the idea that, by nature, the people themselves possess all power. When they form a political society, they consent to give some of that power over to the government. But the government only has those powers that are delegated to the government by the people. If the people do not, in the constitution, give the government a particular power, then the government does not possess it. So unlike a monarchy, the rule in a democracy is that the people possess all power, and the power granted by the people to the government is merely an exception to that rule. This is why democracies, Hamilton argued, do not need bills of rights to reserve liberties for the people – the people already reserve all power that they do not specifically grant to the government in the Constitution. Many Anti-Federalists understood Hamilton’s point in principle. But they argued that, as a practical matter, when the Constitution grants power to the government, it often does so in very general or broad language, so that it is occasionally not clear what powers, exactly, the government is to exercise. For this reason, many believed it prudent to provide a specific list of the major liberties of the people in a bill of rights; the Constitution was ratified with the understanding that one would be added as a first order of business for the new government. James Madison, as a member of the House of Representatives, led the effort to write and pass the amendments that would come to make up the Bill of Rights. He remarked that another beneficial effect of a federal bill of rights was that it would serve as a teaching tool – it would serve to educate and remind the people about their basic liberties. When the amendments were debated and passed, there was no rule as to where they should be placed in the Constitution. Some suggested that the Bill of Rights be placed right at the very front of the Constitution, as was the case with several state constitutions, so as to emphasize their importance. Madison initially wanted to place the amendments directly into the text, in order to make less obvious the fact that the Constitution had been amended (the idea was that people would respect and honor something more if it was seen to remain constant over time). Ultimately, it was decided to add the amendments at the end of the Constitution – and this is a precedent that has been followed for all subsequent amendments. The Constitution of the United States was drafted in a special convention called in 1787, and became official in 1789 when it was ratified – or approved – by the people in the states. While the Declaration of Independence explains what the goals or principles of the new nation are (to secure the rights that all human beings have to Life, Liberty, and the Pursuit of Happiness), the Constitution implements a system of government that seeks to accomplish those goals or principles. The Declaration explains what the government must do, and the Constitution sets up a system to get it done. The first “constitution” that the Americans came up with to achieve the goals of the Declaration failed to live up to the task. It was called “The Articles of Confederation,” and left the national government so weak that it could not secure the rights of American citizens. In the new Constitution, then, the framers had to make the national government strong enough to achieve its objectives, but not so strong as to risk violating the rights of the citizens. In order to do both of these things – to provide strength and to protect rights – the framers gave the Constitution an organization that was, at that time in history, brand new. The Constitution is organized under the separation of powers system. The basic logic behind the system is that you can give the government the power that it needs to accomplish its objectives, but that power is divided among several sets of hands. In this way, no one set of hands – no one person or institution – has the ability to control all of the powers of the national government. Power is granted in the Constitution to three “branches:” the Legislative branch is given the power of making laws, the Executive branch is given the power of carrying out laws and serving as the spokesperson for the country with respect to foreign nations; and the judiciary is given the power of interpreting the law and deciding how to apply the law in particular cases. The separation of powers system is made to work through a system of checks and balances – where each part of the government is given some tool to prevent the other parts from exercising more power than they are allowed to. Thus, for example, the president can use the “veto” to reject laws passed by Congress; the Senate (one house of Congress) can refuse to approve (or “confirm”) the president’s appointment of federal judges or other important federal officials; and the judiciary can strike down laws or executive actions that violate the Constitution. The separation of powers system of the Constitution is quite different than the other model of government used by many democratic nations – the parliamentary model. In a parliamentary system, the legislature and the executive work together – in fact, the leaders of the executive branch are the same as the leaders of the legislative branch. This is why the American Constitution is often misunderstood. Many wonder why our government isn’t more “efficient” – in other words, they wonder why the different parts of government occasionally oppose one another. But to understand why this is so, we must understand what the purpose of the American government is: the protection of our individual rights to Life, Liberty, and the Pursuit of Happiness. Because the protection of these rights is understood to be the purpose for the existence of government, the government must therefore be strictly limited – it must be made to stick to the responsibilities that the people gave to it when they adopted the Constitution. This is why the Constitution, in addition to empowering government to fulfill its responsibilities, is also carefully designed to guard against the abuse of power. This often requires one part of the government to resist certain measures of another part. But it also helps to see to it, as much as is possible, that when the branches do cooperate on a particular measure, that the measure is most likely to be for the public benefit and be consistent with the protection of its rights. The Declaration of Independence was the document signed by the Second Continental Congress on July 4, 1776, announcing the colonies’ independence from England, announcing their coming together as a single people, and laying out the reasons justifying the separation. The Declaration was initially drafted by Thomas Jefferson, and was then brought before the delegates where it was amended prior to being adopted. The Declaration justifies America’s separation from England by showing how the British practice of government in North American was unjust. But in order to demonstrate how the British governed unjustly, the Declaration first had to explain what just government is and how it must be conducted. When explaining what just government is, the Declaration is careful to show that just government is the same for all human beings. Just government isn’t one thing for one set of people, and another thing for a different set of people. The definition of just government does not change with the times. The Declaration of Independence explains the kind of government that all people are entitled to. It then shows, that in the particular case of British government in North America, the colonists had been denied the kind of government to which all are entitled. The “truth” that Jefferson wrote of in the Declaration, and that Lincoln celebrated in his letter, was that “all men are created equal.” Because of this equality, just government can only occur with “the consent of the governed.” The Declaration further explains that human beings are equally “endowed” – or made – by their Creator with certain rights, and that among these rights are the rights to Life, Liberty, and the Pursuit of Happiness. It is most important to understand that without the Declaration, other founding documents such as the Constitution make little sense. The Preamble of the Constitution, for example, begins with the famous words, “We the People.” But who are “the people”? They are the same people who declared their independence from England a decade earlier in the Declaration of Independence, and it is the Declaration which explains the principles shared by “the people.” The Preamble to the Constitution also states that a purpose of the Constitution is to form a “more perfect union.” But this, of course, implies that some kind of “union” was in place prior to the adoption of the Constitution. Again, this “union” is defined by the principles of the Declaration, which gives meaning to the union of the American people. Most Americans are familiar with the phrase: “All men are created equal.” Most even know that our country is grounded in the idea of equality. But what does “equality” really mean? In what respects are Americans equal? In certain respects, we are obviously not equal. We are not all the same size, we are not all the same color; some of us are stronger or even smarter than others. So when the American founders declared that all men were created equal, they clearly did not mean that we are all alike in every respect. Nor did they mean that it was the responsibility of government to make us equal in every respect. The founders well understood that some would be more energetic than others, would be smarter and work harder, and that as a result, some would acquire more wealth than others. It was not the job of government to even out this kind of inequality – only to secure the conditions where each individual was free to earn and keep whatever wealth his work and talents allowed him. The phrase “All men are created equal” comes from the Declaration of Independence, which makes clear that we are equal in the one way that matters most as far as politics is concerned: we are equal in the natural rights that God gave us. Because we are all children of God’s creation, we are equal in our rights to life, liberty, and the pursuit of happiness. As mentioned above, human beings are created with all kinds of differences among them. But none of these differences is so great that it gives one human being the right to rule over another without that other’s consent. This is why the Declaration of Independence concludes, after its statement about equality, that just governments derive their powers from the consent of the governed. Because, while one man may be smarter or stronger than another, he is not so much stronger or so much smarter that he is naturally entitled to rule the other. Here’s another way to think about it. There are certain natural inequalities in God’s creation. Human beings are created as naturally superior to the beasts; yet they are also created as naturally inferior to God. Because human beings are superior to the animals, they may rule animals without the animals’ consent. Because we are inferior to God, God rules us without our consent. But that natural right to rule does not apply to the relationship between one human being and another, no matter how much wiser one man may be than another. This equality teaching of the Declaration is the cornerstone of republican government. By contrast, in aristocracy, the argument is the opposite: aristocracy assumes that some men are so much wiser and so much more fit to rule than others, that those men have a right to rule – with or without the consent of the other people in the society. The theory of divine right of kings is based upon a similar assumption; this theory argued that God creates a king as the natural superior to other men, and so a king has the right to rule others without their consent. This was the understanding of the British government from which the American colonists separated themselves. The Declaration of Independence rejects both the argument for aristocracy and monarchy, asserting the natural equality of all human beings and the principle of government by consent of the governed. At the time America was founded and established a system of federalism in the Constitution, the whole idea of federalism was new. The framers of the Constitution knew that under the Articles of Confederation, the national government had no real power, and thus it could not adequately secure the natural rights of Americans by providing for the common defense and regulating foreign and interstate commerce. In the brief period of years after the Revolutionary War but prior to the Constitution, the state governments would not contribute tax dollars for the operation of the national government, nor would they contribute soldiers so that the national government could maintain an army for the nation’s defense. So when the framers met at the Constitutional Convention in 1787, they designed a system where the national government would be strengthened. The primary way of doing this was to give it the power to enforce its own laws. Under the Articles of Confederation, the national government had been dependent upon states to carry out its measures voluntarily. Under the new Constitution, the national government was given a real “executive” power (i.e. the power to carry out or enforce), so that it could effectively accomplish the limited set of tasks assigned it by the Constitution. It is very important to keep in mind that, in spite of this strengthening of the national government, the actual range of activities for which the national government was responsible remained quite limited. The Constitution of 1787 was not so much about giving the national government a wider range of things to do; rather, it was about giving the national government the enforcement power it needed in order to carry out those few things for which it was responsible. The framers had a limited mission in mind for the national government, but they wanted the it to be able to accomplish that limited mission in an effective way. This is why, in the framers’ understanding, the great majority of political activity was still to take place at the state and local level. The framers recognized that most political matters differed from place to place, from town to town, from state to state. People were different, and their particular situations and needs differed accordingly. So it would be inappropriate to grant to a single, national government the power to regulate every political matter across the country in the same manner. Rather, the national government was given the power to deal with those things that were matters of common interest: defense, foreign policy, international trade, and interstate commerce. It remained to the states and localities to deal with the most common matters of social life: schools, roads, criminal and family law, etc. Thus the federal system in America makes each level of government supreme in its own sphere: states are allowed full power to regulate matters of particular or local concern, and the national government is allowed full power to deal with matters that affect the entire nation in a common manner. Federalism, therefore, provides for an efficient and sensible division of labor between the state and national governments. But it also serves another equally important purpose. The goal of any just government, as the Declaration of Independence tells us, is to secure the rights of its citizens. So while it was important to empower the national government to do its job effectively, it was just as important to make sure it kept within its proper bounds – to ensure that it did not exercise more power than it was given and abuse the rights of the people. Federalism was a key way to make sure the national government kept within the limited range of powers granted to it by the Constitution, because the federal system divides power between the national and state levels. The Constitution does not entrust the whole power of governing to any single set of hands – rather, it divides power among several sets of hands so that it is less likely to be abused. The system of federalism is one very important way that our system of government divides power and protects the liberties of its citizens. Some may think it strange to say that a nation founded upon principles of civil and religious liberty still understands God to be an essential cornerstone of its system of government. But this was exactly the position of the great bulk of the founding generation. For the founders, all governments have an obligation to protect the rights of their citizens. Governments do not “give” rights to their citizens; rather, they are obligated to protect those rights which all human beings already possess by nature. The Declaration of Independence makes quite clear that the protection of these “natural” rights is a requirement for any government to be considered just. The very principles of America, in other words, do not make sense without a belief in God and in God’s authorship of natural liberty. Either rights come from God or they come from government. If rights come from God, then the purpose of government is to protect those God-given rights; and if the purpose of government is to protect God-given rights, then government must be limited in its powers so that it does not become a threat to the very rights it is supposed to protect. On the other hand, if rights come from government, then there should be no limit to the power of government; the bigger government becomes, the more “rights” it can bestow on the people. The problem with this view is that if government is the source of rights, then it can take away rights as easily as it can create new ones, and there is nothing to which the people can appeal to demonstrate that government might in some instances be wrong to take rights away. It is important to understand that in understanding liberty as part of God’s creation, the founders did not believe that government should in any way favor a particular sect or particular religion. While the religions prominent in America at the time of the founding professed a variety of creeds, they were essentially united in understanding God as the author of human liberty and the author of the moral obligations between citizen and citizen, as well as between government and citizen. From the point of view of the founders, this is what mattered most in terms of understanding God’s relationship to the nation’s basic political principles. Today, the posture of the Constitution toward religion is often misunderstood. The First Amendment, which prohibits the national government from setting up an “official” religion or church, is often read today to mean that government must disavow any acknowledgment of God’s existence and his providence over our public affairs. This, of course, was not the founders’ understanding, and if it were true would make our original political principles incoherent. As we have seen, the founders’ understanding of government relied upon a faith in God and in God’s granting natural rights to all human beings. While they prevented government from advocating one particular religion over another, the founders also believed the firmest prop for limited, constitutional government is the belief that rights come from God and that the purpose of government is to protect God-given rights. Under the separation of powers system, there are three branches of the national government. The lawmaking branch – Congress – is divided into two separate bodies: the House of Representatives and the Senate. This is a legislative system known as bicameralism. One of the purposes of having a bicameral legislature is to provide a further check against the potential abuse of power by the government. One principal way of keeping government within its proper limits is through the general separation of powers system (dividing power between the legislative, executive, and judicial branches). But bicameralism provides an additional check, creating a mini separation of powers system within the legislative branch itself. This way, in order for a law to be enacted by the legislature, it must be thought worthy by two legislative bodies that are quite different from one another in many important respects. While every branch of the government is connected, to one degree or another, to the people, the House of Representatives was intended to be the branch that most directly reflects public opinion. This is why members of the House are elected by the people directly. (Under the original Constitution, members of the Senate were chosen by state legislatures. The 17th Amendment changed this, allowing the people of each state to vote directly for each of its two Senators.) Members of the House also serve for a relatively short term – two years (compare this to four years for the president, six years for senators, and life terms for judges). This short term means that members wanting to win re-election must be careful about straying too far from public opinion, because the next election is never too far away. The only question for the framers of the Constitution was how frequently to hold elections for the House? In many states, elections for the state legislature were held every six months, so as to ensure that legislators would always reflect the most recent trends in public opinion. Yet the framers of the Constitution saw the need to balance a firm reliance on public opinion with stability and with allowing members of the House some amount of time to gain experience. Whereas extremely short terms would ensure a direct reliance on public opinion, they would also lead to a great deal of instability in the House, with the membership changing so frequently that it would be difficult to maintain a consistent set of laws. This had certainly been a problem in state governments with short legislative terms. Furthermore, the framers thought it necessary to give members of the House at least some small amount of time on the job to develop some knowledge and expertise about the matters on which they were to decide. Since the national government was to deal with matters of broad national interest and with matters pertaining to foreign affairs, the framers reasoned that some members would need time to acquaint themselves with the issues. So the two-year term for members of the House seemed to be short enough to ensure a strong dependence upon public opinion, and long enough to facilitate stability and expertise. While the Senate is given certain powers that the House is not (i.e., to confirm presidential appointments and to approve treaties), there is one very important power where the House has pride of place: taxation. Since the taking of property without consent had been a primary complaint of the colonists against Great Britain, the framers of the Constitution made sure to place the primary responsibility for enacting taxes in the hands of those officials who were most directly connected with the people themselves. Hence all laws to raise revenue (i.e. to tax) must originate in the House of Representatives. The founders were very much concerned with protecting private property against unjust seizure by the government or by persons to whom it did not belong. The virtue of industry is at the heart of the founders’ understanding of what gives a person a right to their property. The founders got this understanding largely from the political writings of John Locke. For Locke and the founders, property ownership and wealth come about when an individual exerts his labor, or industry. For example, if a citizen takes a barren field, smartly applies himself to work it and the land yields fruit because of his labor, then the individual has made that property his own – he has established a right to it – by applying his labor or industry. For the founders, it was one of the most critical purposes of government to create a situation where the property or wealth earned by individual hard work or industry would be protected. The founders wanted to create a situation where individual industry would be rewarded. They wanted citizens to know that, if they applied themselves, they would be able to enjoy the rewards that their industry had yielded. This is why the protection of the rights of private property was a key pillar of the founders’ political thinking. The importance of industry is at the heart of one of the natural rights named in the Declaration of Independence: the Pursuit of Happiness. By identifying the “pursuit of happiness” as a natural right, instead of simply “property,” the founders intended to afford protection not just to property or wealth that people already owned, but also to the ability of those without property to apply themselves through industry and keep what their industry earned them. This was an important difference between the political thinking of the founders and that of the aristocratic mindset in Europe. The laws in old Europe did not reward industry. Instead, they tended to reward and protect the few wealthy families – making it more important to be born into wealth than to work hard on one’s own in order to acquire wealth. Aristocratic laws gave the wealthy more property rights than the poor. In such a situation, the ability to “pursue happiness” was extremely limited, which reinforced a rigid class structure of the few wealthy and the many poor. What the founders sought to do, instead, was to establish a government that would provide the liberty citizens needed to work hard and earn wealth through their own industry, and one that would protect what they had earned once they had applied themselves. So the founders laid the conditions for competitive markets, open to entry from rich and poor alike. And they also laid the conditions for the free development of land, so that the industrious would be able to apply their labor and develop wealth of their own. It is crucial to know that the founders sought to secure the right to pursue happiness. They certainly did not mean that the government would be in the business of guaranteeing or providing happiness or wealth. Instead, they created the conditions whereby those who had industry were left free to make themselves happy through their own hard work. This required that the government protect the property earned by the industrious against attempts by others to take it. Government was not to be a tool for the transfer of wealth from those who had earned it to those who had not; it was, instead, to be a tool to encourage the virtue of industry and protect its rewards. While the legislature makes law, and the executive enforces or carries out law, it is the role of the judiciary to interpret the law and its application to particular cases. In controversies over whether or not the law has been violated in a particular case, the judiciary must first say what the law is, and it then must determine if the law applies or has been violated in the facts of the particular case before it. In the Constitution, the exercise of the judicial power is separated from the legislature and especially the executive in order to guard against an abuse of the people’s liberties by the government. The separation of the judicial power from the executive, for example, ensures that the person who accuses or charges a defendant with having committed a crime is not the same person who also judges whether or not the accused is, in fact, guilty. When we say that the judiciary interprets the law and determines how it applies in particular cases, this includes the Constitution itself, since the Constitution is simply the highest form of law in the United States. The judicial branch of the national government must, therefore, interpret the national Constitution in order to determine how it applies – or whether or not it has been violated – in particular cases. What if Congress enacts a law which, according to the Constitution, it has no power or right to enact? What if the executive engages in some enforcement action which, according to the Constitution, it has no power or right to engage in? If a citizen believes that such a violation has taken place, and if the citizen has been harmed by that violation, then the citizen can take his or her complaint into federal court and ask the federal judiciary to determine if the Constitution does, in fact, prohibit the questioned law or action. In doing so, the judiciary is exercising what is called “judicial review.” As Alexander Hamilton explains in The Federalist Papers, when the judiciary is confronted with a conflict between a law and the Constitution itself, the judiciary must adhere to the Constitution and not to the law that is in violation of the Constitution. This is because Congress and the executive can exercise only those powers which the Constitution grants to them. And even the state governments are bound by this standard; state governments that act in a manner contrary to the national Constitution are subject to the process of “judicial review” by the national judiciary. Because the judiciary must often decide whether or not Congress or the president has acted in a manner contrary to the Constitution, and because the judiciary must occasionally act to strike down acts of Congress or the president, the framers of the Constitution considered it essential that the judiciary have a strong degree of independence from the other branches of government. For this reason, members of the judiciary serve “during good behavior,” which in most cases means for life. Judges can be removed through impeachment, but this requires a majority vote in the House of Representatives and a two-thirds vote to convict in the Senate, which means an impeachment will usually happen only if a judge has seriously breached his official duty or has committed a crime. Further, Congress is not allowed to reduce the salary of a judge during his service, which might otherwise be used as a threat to influence members of the judiciary. The power of judicial review, and the independence granted to the judiciary, might seem to give the judicial branch an extraordinary amount of power. But, in fact, it remains the weakest branch of government, and the other branches have several means of reigning in the judiciary should it become necessary to do so. First, as previously mentioned, federal judges can be impeached and removed from office for misconduct. Second, Congress can, by law, control the “jurisdiction” of federal courts – i.e. the kinds of cases they have the power to hear and decide upon. Finally, Congress also controls the structure of the federal courts, including the number of justices who sit on the Supreme Court. For a long part of our history, the number of justices on the Supreme Court has been set at nine, but there is nothing in the Constitution itself requiring this. Congress could, if it chose to, use its power to increase the number of justices on the Supreme Court and thereby “dilute” the influence of sitting justices with whom there might be a problem. The vast majority of legal cases in America today are heard in state courts. Each state court system exists independently of the federal court system, and the structure of state court systems varies from state to state, depending upon how the particular state constitutions set them up. Certain kinds of cases can be appealed from the state courts to the federal courts. In the federal court system itself, there are three levels. The first, or lowest level, contains “District Courts.” These are basically trial courts – the first court where most parties would go in a federal case. The second, or middle level, contains “Courts of Appeal,” which generally hear appeals of cases decided at the lower District level. The highest court is the “Supreme Court of the United States,” which is the court of last appeal (or “final resort”) in the United States. It is through a story about flying a kite that many Americans are familiar with one our most prominent founders, Benjamin Franklin. It is often reported that Franklin “discovered” electricity through his kite-flying experiment, which is not quite accurate. It is the case that Franklin discovered, through his experiment, that lightening is a naturally occurring electrical current. This discovery of Franklin’s was one of many important and interesting discoveries that he made. But to those of us interested in the founding principles of American government, Franklin is even more important for his many contributions to our political tradition. Franklin was born on January 17, 1706, in Massachusetts, and subsequently took up residence in Pennsylvania. Professionally, Franklin was a printer and publisher (he published the Pennsylvania Gazette), but his contributions to early America spanned a wide variety of areas, from invention and philosophy to statesmanship. After involvement for a number of years in Pennsylvania politics, Franklin traveled to England to serve as agent for several American colonies in the 1760s. He was in England when Parliament passed the Stamp Act, which he protested while at the same time urging American obedience to it because it was the law. He returned to American in 1775 and served as a delegate to the Continental Congress. He was appointed to the committee that drafted the Declaration of Independence and was a signer of the Declaration. During and after the Revolutionary War, Franklin served as an agent for the new nation in Europe, where he both helped to secure aid for America during the War, and helped to secure the peace at the War’s conclusion. He returned to the United States in 1785, served on the executive council in Pennsylvania, and participated in the Constitutional Convention of 1787. Franklin died in 1790. Perhaps the most enduring and important lessons from Franklin’s life and writings are the advice he gave to those who wanted to succeed in life, and the policy that he advocated in dealing with the problem of poverty. Much of this advice came in Franklin’s well known Poor Richard’s Almanac. Franklin’s advice to those who wanted to succeed and make a good living was simple: Industry and Frugality. As Franklin explained, “Waste neither time nor money, but make the best use of both. He that gets all he can honestly, and saves all he gets (necessary expenses excepted) will certainly become rich.” Franklin’s advice to be both industrious and frugal had two aims: 1) it was a way to economic success; 2) it was a way to develop proper moral character. The latter of these two purposes was most important, as Franklin thought that idleness was the great enemy of good character. He therefore thought it a good thing that in America, most people were not wealthy, but that the general availability of land and the protection of property rights made for a situation where those who worked hard would be rewarded. John Locke, an English political writer and theorist, was arguably the political thinker who had the greatest influence on the ideas of the American founders. Of his many writings, his Second Treatise of Government (originally published in 1690) was very widely read in the founding generation. Locke’s writings are complex and their subtle meaning is the subject of intense debate among scholars. But there is little question that the American founders used Locke’s language to articulate their own understanding of the natural rights of man and of the kind of government that would best secure those rights. In the Western tradition of political thought, Locke was one of the primary expositors of the theory of “social compact,” a theory that is also at the heart of the American Declaration of Independence. Locke’s social compact theory argued that the original or “natural” condition of human beings comes prior to the formation of government. By “nature,” Locke argued, all men are completely free and equal. Yet even though they are completely free and equal, they are obligated to respect the freedom and equality rights of their fellow human beings. This obligation comes from what Locke called the “Law of Nature,” which tells us that all men are free and equal and that one man ought not harm another in the enjoyment of his natural liberty. The problem with this situation, however, is that there is no way to enforce the Law of Nature. In other words, even though we ought not harm the life or liberty of other human beings, there is no system of government around to make sure people behave that way. In order to solve this problem, individuals form a “social compact” – they agree to abide by the authority of a civil government, so that their rights will be protected. Government, therefore, is the creation of free individuals – it has authority only because individuals consent to give it authority. And it exists only for the purpose of enforcing the Law of Nature – that is, to make individuals safe in the enjoyment of their natural liberty. What did the American founders understand Locke’s social compact theory to mean? As we can tell from the Declaration of Independence, they took several key principles from Locke. The first is that political power (or the right to rule), by nature, resides wholly with the people themselves. Contrary to the theory of aristocracy or monarchy, no one individual or group of individuals is entitled to rule. Therefore, any legitimate power that government exercises can come only from the consent of the governed. This is the heart of the Declaration’s argument against the power claimed by the British king. The second is that people will consent to government only for the purpose of making them secure in the liberty that they have by nature. All legitimate governments, therefore, have as their aim the securing of their citizens’ natural rights. Born in 1751 in Orange County, Virginia, Madison was educated at the College of New Jersey (later known as Princeton), and began serving in state government when he returned to Virginia in 1774. He moved to the federal stage in 1780, beginning three years of service as a Virginia delegate to the national congress under the Articles of Confederation. It was as a delegate in the Virginia legislature that Madison was instrumental in helping to pass Thomas Jefferson’s bill for religious liberty (1784-1786). Madison emerged as a key figure at the Constitutional Convention of 1787, and his unofficial notes from that Convention now serve as one of our best guides to the framers’ intent. He was also one of the principal authors of The Federalist Papers, written with Alexander Hamilton and John Jay for the purpose of securing ratification for the new Constitution. After the Constitution was ratified, Madison served as a member of the new U.S. House of Representatives, where, among other things, he was responsible for managing the passage of the Bill of Rights. After serving as President Jefferson’s Secretary of State, Madison was elected to the presidency in 1808. Madison was a close political ally of Thomas Jefferson, a strong critic of national power and a defender of states’ rights. And while it is true that Madison became more wary of national power later in life, it is also the case that Madison’s most important contributions to American government come from his support of an energetic national government in the Constitution of 1787. Madison wrote a famous essay in 1787 – “The Vices of the Political System of the United States” – that laid out the flaws with government under the Articles of Confederation. In addition to his criticism of the weakness of national government under the Articles, Madison’s essay sharply criticized state governments, which he believed were passing unjust laws and violating the natural rights of their citizens. For Madison, the formation of a new, stronger, national government was the only way to secure the rights of citizens that were being abused by the practice of government at the state level. The Articles of Confederation simply provided the national government no way of reigning in the dangerous practices of the states. At the Constitutional Convention itself, Madison was one of the most forceful proponents of a strong national government. His “Virginia Plan” served as the backbone for the form that the new Constitution was eventually to take, one which he proposed as an alternative to the “New Jersey Plan,” which had been put forward by small states in an effort to preserve the power of the individual state governments. Perhaps even more important than his deep involvement in framing the new Constitution was Madison’s role in defending and explaining the new system in The Federalist Papers. It is through The Federalist Papers, probably more than any other source, that we today can learn the original meaning and purposes of the Constitution. In The Federalist Papers, Madison defended the necessity of the strength of the new national government, while at the same time explaining how the new government’s power would be carefully checked in order to ensure that it would not threaten the liberties of the people. Madison is perhaps most famous for authoring Federalist #10, which explains that “faction” is the major problem in democratic government and shows how the new Constitution will help to reduce the risks of faction. By “faction,” Madison principally meant “majority tyranny” – the danger in democratic government that the majority would use its power to abuse the rights of the minority. To Madison’s mind, this is exactly what had happened in state governments following the conclusion of the Revolutionary War. Federalist #10 explains how the new Constitution would allow the majority to rule, but how it would help to ensure that the majority would rule responsibly and reasonably, in a manner that would protect the liberties of all. And even though Madison later became a critic of some of the national government’s policies – especially during the presidency of John Adams – he was very clear in maintaining opposition to the radical states’ rights argument for nullification and secession. In 1798, Madison authored the “Virginia Resolutions,” which were adopted by the state of Virginia to protest what it believed were the unconstitutional policies of the Adams administration. But unlike Jefferson, who at the time asserted that states could “nullify” any national law believed to be unconstitutional, Madison never argued for a state right to nullification. Instead, as one would expect from the Father of the Constitution, Madison urged states to assert themselves constitutionally – that is, in the various ways that the Constitution already allowed them. The Constitution made state governments responsible, after all, for selecting members of the U.S. Senate and gave them a significant role in selecting the president. This provided states plenty of opportunity for influencing the policy of the national government. Americans today talk a great deal about rights. Very few political conversations take place without mention of them. Often, anything we want government to do for us is cast in terms of something that we say we have a “right” to. For example, if some people want government to provide retirement income, they say they have a right to it; if some want government to provide healthcare, they say they have a right to it, etc. Americans are also familiar with rights through the provisions of the Bill of Rights – the right to free speech, the right to bear arms, etc. Thanks to television shows based on police work, we are perhaps most familiar with rights afforded criminal defendants – the right to refuse self-incrimination, the right to legal counsel, etc. Some of these rights have a very important place in our system of government, and others do not. But they do not reflect the kind of rights that were most important to the American founders and that are most important to understanding the very purpose of American government: Natural Rights. Natural rights are those rights which the founders believed come from human nature itself – that is, they belong to all human beings, simply by virtue of their having been created as human beings by God. The founders believed that it was a self-evident truth that the right to life, liberty, and the pursuit of happiness were the fundamental and universal traits which characterize the entire human species. In naming these three natural rights, the founders simply meant that it was a natural entitlement from God that human beings be allowed to live, to govern themselves as they see fit, to work to acquire property, and to keep the property that they earn through their own labor – at least to the extent that in exercising these rights they did not interfere with the natural rights of a fellow human being. Perhaps the most important thing to know about natural rights is that they are, as the Declaration labels them, “unalienable.” That means that they cannot be taken away legitimately, and that they do not depend upon government recognition of them in order to be valid. You are not entitled to natural rights because the government says so, or because the Constitution or Bill of Rights says so, but because you are a human being and you have these rights by your very nature. Put differently, we do not judge the meaning of natural rights by what governments say; rather, we judge governments as good or bad based on how well they protect natural rights. Some rights – such as “civil rights” – come from a source other than nature. The right to a jury trial, for example, is a civil right. You have the right to a jury trial as an American citizen, because the American constitution says so. Other nations do not recognize or confer this civil right, and so their citizens or subjects do not have it. But natural rights apply to all human beings everywhere, regardless of the particular government or constitution under which they live. This logic explains why the Declaration of Independence lays out the principles of just government not just for Americans only, but for all people at all times. Because natural rights apply to every human being, then the duty of government to secure natural rights also applies everywhere and always. The Constitution refers in several instances to “officers of the United States,” usually in Article II. Officers of the national government are those who assist the president in his duties. According to Article II of the Constitution, the president is responsible for the “executive power” and for taking care “that the laws be faithfully executed.” Officers of the national government assist the president in carrying out or enforcing the law. The relationship of officers to the president is important in understanding the unique role of the president in our system of government. The American system of government features a “unitary” executive instead of a “plural” executive. In other words, the responsibility for carrying out the law is held, ultimately, by only one person, the president; responsibility is not divided among several people. When it is time for the executive branch of government to make a decision, the president may seek the advice or assistance of his most important staff members, but ultimately, it is the president alone who has the power to make decisions for the executive branch of government. The president does not have to ask for a vote of his cabinet or top advisors; there is no other person in the executive branch who has to “sign off” on the president’s decision. The executive branch of government is not run by a group of persons; in this way, it is unlike both the legislative and judicial branches, whose power is divided among several individuals. The executive power of the United States is wielded by the president alone. The reason for this was explained by Alexander Hamilton in The Federalist Papers (#70). First, Hamilton explained, executive actions must often be made quickly and decisively, and occasionally require secrecy. A single individual is much more suitable for these kinds of decisions than a group of individuals. Hamilton points to the role of the executive in foreign and military affairs, where the executive must speak with a single voice to foreign nations or must respond quickly to an attack on the United States. If the executive were run by a group of people – some of whom might have very different views than others – decisions might not be made with the necessary speed. Second, Hamilton explained that a unitary system made the executive more accountable to the people. Precisely because the executive was to be granted so much power, it was essential that the people be able to monitor and judge his actions. If there were a group of individuals running the executive and something went wrong, it is likely that each would blame one of the others for the mistake. In a system where there is only one person responsible for executive decisionmaking, there is no way for that individual to avoid blame for mistakes when they are made. But even though the president alone is responsible for the decisions of the executive branch, it is impossible for him to carry out every law on his own. The executive branch is, therefore, made up of numerous “officers” who assist the president in enforcing the law. These officers answer to the president – in other words, they cannot enforce the law in a way that contradicts the manner in which the president wants it to be enforced. The president sets the broad policy about the way the executive branch will carry out the law, and then the officers within the executive branch enforce the law based upon the president’s policy. There are, for example, many federal law enforcement agencies – the Federal Bureau of Investigation (FBI), the Drug Enforcement Agency (DEA,) the Customs Service, etc. These agencies employ thousands of “officers” to enforce federal law. And while these officers generally carry out their duties without ever seeing the president or talking with him, they carry out the law on the authority or on behalf of the president. There is also, for example, an entire department of officers within the executive branch who carry out relations with foreign nations – the State Department. This department employs all of America’s ambassadors and other diplomats who speak on behalf of the United States to other nations. But in doing so, the officers of the State Department must carry out the policy of the president – in other words, they are messengers for the president, who carry out or implement the president’s foreign policy. The president directs the policy of the executive branch through an important group of officers called the “Cabinet.” Generally, the Cabinet is made up of the principal officers who run each of the major departments of the executive branch. Each Cabinet officer is responsible for overseeing a large department consisting of many officers who carry out the law in specific areas – Defense, Treasury, Justice, Agriculture, Commerce, etc. It is by meeting with his Cabinet officers and directing their actions that the president communicates his policies to the thousands of officers who are employed by the executive branch of government. Prudence was a vital quality of the American founders, and it was a concept that held a great deal of importance in their understanding of politics. Their understanding of prudence can be traced back to the very roots of the Western political tradition. Aristotle, a Greek political philosopher, defined prudence as “practical wisdom.” For a statesman to exercise “prudence” or “practical wisdom” in a particular situation, he had to know two things. First, he had to have knowledge of the absolute or universal standards of right and wrong – that is, he had to have knowledge of the correct principle. Second, he had to have a good understanding of the particular situation he was facing. Every political situation is different, and certain actions are possible in one situation that might not be possible in another. The art of “prudence” was the art of putting these two things together – i.e. of combining knowledge of the right end or principle with the knowledge of what it was actually possible to do in a given situation. The “prudent” political decision, therefore, is the one that comes as close as possible to the absolute standard of justice in a given situation. “Prudence” means making the decision that is most just – or closest to justice – in light of the limitations of the circumstances. But the founders had to exercise prudence on this question, as with all political questions. After they looked to the universal standard of right and wrong, which laid down the clear principle that slavery was a grave injustice that should be eradicated, they looked to the particular situation they were in, to see how much of this principle they could actually accomplish under the circumstances. And it was very clear at the time that there was no way the slaveholding states would ever consent to a union or constitution that outlawed slavery; it was simply not possible to eradicate it under the circumstances. Therefore, knowing in principle that slavery was a moral evil, the founders did the most they could do at that time to bring about its demise: they allowed it to continue where it already existed, imposed a variety of restrictions, and steered the nation on a course that would allow the eventual eradication of slavery. Abraham Lincoln explained very clearly the prudence of the founders on the slavery question in a series of speeches in the 1850s. Lincoln was most disturbed that the nation had steered away from the prudent course on which the founders had set it; he was gravely concerned that the slavery problem had become worse, not better, in the years since the founding. Eventually, Lincoln was able to emancipate the slaves. He held the exact same moral view of slavery that the founders held – that is, that it was a moral evil that had no place in just government. But the circumstances were different for Lincoln than they were for the founders; ultimately, the circumstances allowed Lincoln to bring about more fully the moral end that he shared with the founders – the eradication of slavery from the United States. Here the founders demonstrate that knowledge of the right principle or end is not sufficient to make a sound political judgment. Prudence requires taking into account the particular circumstances of the situation one is facing, and making the best decision one can in light of both the universal ideas and the present situation. The three branches of the national government have different functions, requiring officials with diverse qualities and characteristics. The evidence for this can be seen in the different “qualifications” clauses of the U.S. Constitution, which lays out different minimum criteria that must be met for members of the legislative and executive branches of government. The most important point about the qualifications for office, in spite of their variation, is that they are all quite minimal. The framers were most conscious of the fact that they were establishing a republican government – one where public office had to be open to all citizens. This is why they rejected the kinds of restrictions that had been placed on officeholders in Britain – i.e. those based on wealth, property, and indebtedness. As The Federalist Papers emphasizes, the fact that federal offices are open to all citizens is what makes the government republican as opposed to aristocratic. In the legislative branch, the qualifications for serving in the House are slightly different from those required for serving in the Senate. To serve in the House, there are three qualifications that must be met: a member must be at least twenty-five years of age, he must be an inhabitant of the state from which he is elected, and he must be an American citizen for at least seven years prior to serving. To serve in the Senate, the minimum age is thirty and the minimum length of citizenship is nine years. Like members of the House, Senators must be inhabitants of the states they are selected to represent. Since members of Congress were expected to deliberate thoughtfully on the laws – i.e. not simply to act as pledged delegates – it was thought that the minimum age requirement would bring the kind of maturity and experience necessary for the task. The reason for the citizenship requirement is that the framers wanted to make sure that those entrusted with deciding upon America’s laws and policies did not have any allegiance to foreign nations. The slight differences in the qualifications for the House and Senate reflect the different functions of the two bodies. The House, as the branch of the legislature closest to the people, was designed to have the fewest restrictions on its membership. For the Senate, especially because of the role treaty ratification gives it in foreign affairs, a few additional precautions were thought to be prudent. Because of the immense importance of the president to the very security of the United States, the qualifications for that office were made even more stringent. The minimum age for the president is thirty-five and, more significantly, only a “natural born citizen” may become president – i.e., those born in a foreign country who subsequently become American citizens, even if they are citizens for a long time, are not eligible to become president. The reason why the president must be a “natural born” citizen, whereas a senator need only have been a citizen for nine years, is because the Senate is controlled by a relatively large number of persons, whereas the presidency is under the direction of a single individual. If a single individual were to become corrupted by a foreign power, he could, therefore, do much more damage as president than he could as a senator. While the qualifications for the presidency might seem strict, it is remarkable how open they actually are. In essence, if you were born as an American citizen and you are at least thirty-five years old, you are eligible to be elected president. Only in a republican country would the highest office in the land be open to so many. Unlike membership in the legislative or executive branches, there are no constitutional qualifications to serve in the judicial branch. The Constitution does not even require that those appointed as judges actually have a law degree. There are several reasons for this, among which is the fact that the manner in which federal judges are appointed provides a great deal of security. Judges are not elected; they are appointed. A person must be of sufficient quality and suitability that the president sees fit to appoint him, and the Senate sees fit to confirm that appointment. Hence strict qualifications were seen as unnecessary. 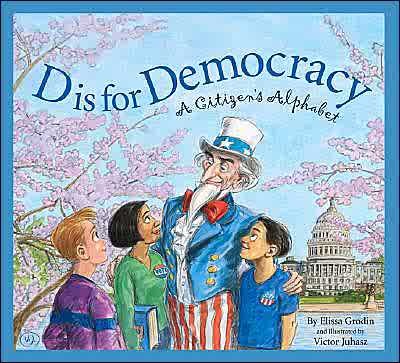 America is often referred to as both a “republic” and a “democracy,” with these terms being used interchangeably. In one sense, this is perfectly correct, since we understand a republic or democracy as a system of government where the people are the source of law. It is a system of government where there is no individual, or special class of individuals, who is more entitled to rule than others. The laws, therefore, must be consented to by the people or their representatives. But there are important differences between a system that is “republican” and a system that is “democratic,” and these differences are critical to understanding America’s founding principles. Today, we tend to identify the terms “republican” and “democratic” with the two major political parties. But that is not how the terms were understood by the founding generation – there were no political parties at the time of the founding. While republics and democracies are both systems where government is based on the consent of the people, they differ in way in which government by the people is structured and organized. These differences were explained clearly and eloquently by James Madison in The Federalist Papers (#10). Madison identified two key differences between a republic and what he called a “direct” democracy. The first was that the people in a democracy participated directly in the government – they assembled and voted on the laws in person; in a republic, by contrast, the people don’t participate themselves, but instead elect representatives to assemble, deliberate, and vote for them. The second difference was that a democracy was normally confined to a small territory – the territory would have to be small, naturally, in order to make it possible for all of the people to assemble in a single place and vote directly on measures of importance. The territory of a republic, Madison explained, is usually much larger; this is possible because the people do not have to assemble to vote on the laws directly, but can instead elect certain individuals to represent them in a central legislative body. The kind of democracy that Madison had in mind was typified by the ancient Greek city-state, where the territory was small and the form of government direct. Madison explained that it was a great advantage that America was to be a republic. To understand why, we have to understand that the framers saw majority tyranny (what they called majority “faction”) as the greatest threat to self-government. That is, if the people are given the power to govern themselves through a system of majority rule, how does one make sure that the majority doesn’t act unjustly, perhaps using its power to violate the rights of the minority? After all, securing the natural rights of each citizen (not just those in the majority) is the very reason for establishing government in the first place. A republic would help to guard against majority tyranny in a way that a democracy could not. In a democracy, there was no way to prevent unreasonable and dangerous passions of the people from ruling. Since they vote directly on all measures, and since the direct form allows the dangerous passions immediately to become national policy, there is no way to prevent majority tyranny. But a republic allows the people time to “cool down;” it allows their reason and good sense time to reconsider any hasty or imprudent desire. This is because in a republic, there is still self-government, but it works indirectly. The people express their will not directly, but through institutions like Congress and the presidency. By the time a majority elects members of the legislature, and the legislature meets to consider new laws, plenty of time will have passed for the people to make sure that the measures they are calling for are, in fact, just and respectful of the rights of all citizens. The majority still rules in a republic (otherwise, it would not be a republic at all but an aristocracy), but it does so in a way that makes it more likely that its rule will contribute to the securing of the citizens’ rights, as opposed to threatening them. For the framers, the fact that America was different, in this way, from other democratic governments in world history was a very good and important thing. Past democracies had too often failed because the majority would use its power irresponsibly. The hope and belief of the American founders was that they had improved upon the ancient form of self-government, and their understanding of what it meant to be a “republic” was central to that improvement. The Senate shares lawmaking power with the House of Representatives, and together these two bodies make up Congress. The Senate is also given responsibility for some things that the House is not; in particular, it is the Senate alone that must approve the president’s appointments to the executive and judicial branches, and it is the Senate alone that must approve (by a two-thirds vote) any treaty that the president has negotiated. But if the House of Representatives is directly connected to the people and represents their will, then why do we need a Senate in the legislature? Why is it that laws must be passed upon by this second legislative body, if they have already met with the approval of the people’s representatives in the House? Furthermore, prior to the 17th Amendment (passed in 1913), senators were not elected by the people directly but by state legislatures. Why would the founding fathers make such an “un-elected” legislative body the equal partner in lawmaking with the people’s representatives in the House? As explained in the section on the House of Representatives, bicameralism (i.e. a two-house legislative branch) was an essential part of the founders’ plan to guard against government tyranny. By dividing legislative power into two sets of hands (House and Senate), the founders made it less likely that the two would come together to use their power in a manner that threatened the liberties of the people. But for bicameralism to work, it’s not sufficient simply to create two legislative bodies. After all, if the two bodies are very similar to one another, they will quite easily come to have the same sentiments and interests and are, therefore, more likely to combine in any potential plan to oppress the people. This is why the two institutions must be quite different from one another. As Alexander Hamilton explains in The Federalist Papers (#62), the best way to guard against the House and Senate combining on some plan of oppression against the people is to setup different modes of selecting their members. This is why House members are selected in a direct vote of the people, whereas senators were to be chosen by the legislatures of their respective states (until direct election of senators was implemented through the 17th Amendment). The original principle of having state legislatures select senators also had the benefit of reinforcing federalism. Federalism is another important means of limiting the power of the national government, by way of dividing political power between the national and state levels. Allowing state legislatures to select U.S. senators was understood as a way to give state governments a say in national affairs. That is, prior to the 17th Amendment, members of the Senate likely would not approve any measure that encroaches upon the power of the state they represent, because every Senator was accountable to their state legislature and would need their votes to be re-elected. The Senate, therefore, was seen in several respects as a check on the House – one way to ensure that the House of Representatives would not make laws that were simply to the advantage of the current majority in public opinion at the expense of the natural rights of others in the community. There are other advantages of the Senate as well. Because terms for members of the House are relatively short (two years), the founders worried that members of Congress might lack the kind of experience they would need to do their jobs. This is where the six-year term of senators is important; it gives each senator enough time to gain on-the-job experience. In this way, the knowledge and experience that senators gain from long terms complements the members of the House, who are given shorter terms in order to make them most sensitive to public opinion. The other advantage of the Senate is its stability. Not only are the terms of senators longer, which itself reduces the rate of “turnover” in the Senate, but the terms are also staggered. That is, only one-third of senate seats are “up” during each two-year election cycle. So in a given federal election, while the entire House of Representatives is up for re-election, the Senate will experience a maximum turnover of one-third. Both the experience and the stability factors make it more likely that the Senate will be responsive to the long term, well-considered reason of the people, while at the same time enjoy the ability to resist short-term passions that are dangerous to the people’s liberties. Thomas Jefferson was born on April 13, 1743, in Albemarle County, Virginia. He was educated at the College of William and Mary, subsequently studied law, and began in 1770 to develop his estate which came to be known as Monticello. Jefferson’s political career began in earnest when he was elected in 1769 to the Virginia colonial legislature, where he served for six years. He was one of Virginia’s representatives to the Second Continental Congress, where he was responsible for writing the draft of the Declaration of Independence. During the Revolutionary War, Jefferson served both in the newly created state legislature of Virginia, and as Virginia’s governor from 1779 to 1781. In 1784, Jefferson began six years of service representing the American government in France. When he returned to the United States in 1789, he became President Washington’s Secretary of State. He served in the Washington administration until 1793, when he resigned, among other reasons, because of differences with Alexander Hamilton, Washington’s Secretary of the Treasury. His differences with the Federalists led him to form the Democratic-Republican party, and he was ultimately elected president in 1800. Subsequent to leaving the presidency in 1809, Jefferson engaged in a variety of pursuits, the most important of which was his founding of the University of Virginia in 1819. Jefferson died on the fiftieth anniversary of the Declaration of Independence, July 4, 1826. While Jefferson served as the third president of the United States, his life is even more notable for the contributions he made to developing and defending the political principles of the new nation. Prior to his drafting the Declaration of Independence in 1776, Jefferson wrote an influential pamphlet in 1774: “A Summary View of the Rights of British America.” In protesting the various policies of the British government with respect to the American colonies, Jefferson made important strides by explaining that the rights of Americans came not merely from their status as British subjects, but more importantly from the fact that they were human beings. Jefferson pointed to the rights that all human beings have by nature – natural rights – and used this understanding of rights to protest the policies of the British government. It was this principle of natural rights that carried over into the Declaration of Independence, and which came to form the backbone of the American political system. Contrary to popular belief today, Jefferson clearly understood that the natural rights principles of the American founding were fundamentally at odds with the practice of slavery. Even though Jefferson himself owned slaves, his draft of the Declaration leaves no doubt as to his view of the institution: he attacked the British king in the Declaration for waging “a cruel war against human nature itself, violating its most sacred rights of life and liberty in the persons of a distant people who never offended him, captivating and carrying them into slavery in another hemisphere, . . .” In the 1780s, Jefferson sought to have slavery banned from new American territories in the West. After several defeats, the anti-slavery provisions eventually made it into the Northwest Ordinance of 1787. Jefferson was in France during the debate over the Constitution. Through a correspondence with James Madison, Jefferson supported the Constitution but was disturbed by what he believed was the excessive authority given by it to the national government. He thus made his support conditioned upon the addition of a Bill of Rights, which Madison helped to shepherd through Congress after the new government was formed in 1789. Jefferson was also responsible for several important accomplishments at the level of state law in Virginia. He was a leader in advocating laws that abolished any vestiges of aristocracy. Important among these was his bill to abolish the practice of primogeniture, according to which the oldest son in a family would, by law, inherit all of his father’s property. Jefferson was also responsible for proposing a state criminal code in Virginia to replace the system inherited from the British. And while Jefferson’s proposed criminal code called for punishments far milder than those previously on the books, this was because the old British penalties were amazingly harsh and out of all proportion to the gravity of crimes. So Jefferson proposed making punishments directly reflect the moral seriousness of crimes – he therefore proposed the death penalty for murder, and lesser penalties for less serious crimes. Jefferson was also responsible for drafting Virginia’s famous statute establishing religious liberty. The culmination of Jefferson’s career on the national political stage came in his victory over John Adams in the presidential election of 1800. Jefferson had become a critic of what he saw as the unjust expansion of federal power under the Federalists. This critique was at the heart of his leadership of the Democratic-Republican Party, which also counted James Madison among its members. The criticism of national power is somewhat ironic, since Jefferson, as president, was by no means afraid to wield significant power. The greatest example of this is Jefferson’s going forward with the Louisiana Purchase, which was acknowledged by Jefferson himself to have been undertaken wholly without constitutional authority. The term “union” is often misunderstood, in spite of its importance to the basic principles of American government. The meaning of this term was at the heart of the Civil War conflict as well, and understanding it properly helps to see that conflict in its proper light. From the point of view of the founders, the Union existed prior to the Constitution – that is to say, the Constitution could only be enacted once a Union was already in place. The Union was formed in 1776, when Americans, foremost in their Declaration of Independence, declared themselves separate and independent from England and dedicated themselves as a sovereign people to conduct government in accord with the Laws of Nature. It is a fundamental premise of the Declaration that human beings are created by God as free beings with equal rights. Human beings are, therefore, the source of all legitimate political authority, because government can only be based upon the consent of the individuals who are to be governed. This understanding is expressed concisely in the Preamble, or opening statement, of the Constitution. This Preamble proclaims that “We the People” ordain and establish the Constitution. This means, of course, that a union of “the people” already existed — otherwise, who were “the people” who had the authority to enact the Constitution? The Constitution is, after all, merely the form of government – the particular means or tool – that the people enact in order to achieve the objectives to which they have already dedicated themselves in the Declaration. The people’s first constitution – the Articles of Confederation – was seen as inadequate for the tasks laid out in the Declaration, so the people implemented a new form of government in what we now know as the Constitution. In The Federalist Papers (#39), James Madison discusses the ratification of the Constitution, and he explains that the Constitution must be ratified by “the supreme authority in each state, the authority of the people themselves,” even though the people express their will as members of particular states, as opposed to a single, common mass of individuals. Why is this important? Because it means that the state governments are not parties to the Constitution – the state governments do not have the authority to create the Constitution. Instead, it is the people within the states who consent to the government, and when they do so they bind the state governments to the agreement that they have made. This understanding helps to show why a state government has no constitutional right to secede from the Union. The Union is created by the people themselves, who are the only source of legitimate authority. So no state government can undo that which the people themselves have consented to. Many defenders of southern secession prior to (and after) the Civil War have misunderstood this point. They suggest that there is a constitutional right to secession. But since the state governments were not part of making the Union, they have no power to dissolve the Union. The American Constitution limits the power of the central government in a variety of ways, partly because the founders recognized that human nature can be ambitious and self-interested and that the power of government could be used for unjust ends. In this way, the founders understood that the people and their representatives would not always be virtuous and they would, therefore, have to design the government cautiously. Nor did the founding generation believe that it was a primary purpose of government, as it had been in classical regimes, to make its citizens virtuous. Nonetheless, the virtue of the people was an important part of the founders’ thinking about government. The reason is that in a democratic system, the virtue of the people is more important than in any other. In a monarchy or an oligarchy it matters little if the people are virtuous or not because the people do not rule, and thus a corruption in the people does not necessarily lead to a corrupt government. But in democracy, the people rule; they make the laws and the laws reflect their character. A good or virtuous people will have good laws; a morally corrupt people will make corrupt laws. In Democracy in America, Alexis de Tocqueville recognized that it was the character of the American people that was the main reason for the success of democracy here, where similar attempts at democracy had failed in nations such as France. The term that Tocqueville used to describe the character, or the moral habits of the citizens, was “mores.” Tocqueville identified three factors that lead to successful democracy: 1) good luck; 2) a good constitution and laws; 3) good mores. Many democratic nations, Tocqueville observed, had the first two of these qualities – fortunate circumstances and good laws. But they had failed because the people themselves were corrupt. As Tocqueville explained, the laws in a democracy give the people a great amount of freedom; but only a people with good or virtuous mores will use their liberty responsibly and reasonably, as opposed to irresponsibly. Both Thomas Jefferson and Abraham Lincoln also understood the importance of a virtuous citizenry. This is why both of them were gravely concerned about the presence of slavery in America and the effect it was having, on the virtue of the people. In his Notes on the State of Virginia, Jefferson worried about the effect of slavery on the “manners” of the citizens, because it would teach citizens that the master-slave relationship was one that was compatible with the American ideals of democracy. It would teach children, especially, that it was permissible for one man to rule over another without that other’s consent, so long as he could get that other man under his power. This would be a lesson of unrestrained passions, which would cut against the responsible self-restraint that citizens in a democracy needed in order to govern well. For Lincoln, Stephen Douglas’ notion of “popular sovereignty,” whereby slavery was just fine as long as a majority voted for it, was clear evidence that the manners of the people had been negatively affected by the existence of slavery. Slavery had taught the people that there was no limit to their own will – that they could get whatever they wanted in a democracy, no matter how unjust, as long as a majority went along with the idea. This is what happens in democratic government when the people lose virtue – the laws that they make reflect that loss of virtue. So democratic government relies on the virtue of its citizens, even if the role of virtue was somewhat different than it had been in the classical regime. This is the lesson of The Federalist Papers, which is justly famous for its wariness of the dangerous side of human nature. The authors of The Federalist Papers knew that human nature had two sides to it, the rational and the passionate, both of which had to be taken into account. And while different constitutional restrains had to be put in place in order to guard against the potential corruption in human nature, it is also true that the government was made to rely on the virtuous aspects, without which it could not succeed. George Washington was born on February 22, 1732, in Westmoreland County, Virginia. When he was twenty years old, he joined the Virginia militia with a commission as a major. After distinguished service in the French and Indian War, Washington was given command of the entire Virginia militia in 1755. He retired to Mount Vernon at the conclusion of the war, although during this time he served in the Virginia colonial legislature for several terms. In 1774, Washington served as one of Virginia’s representatives to the Continental Congress in Philadelphia. The following year, Washington was given command of the Continental Army, which was then battling the British army in Boston. Washington famously led the Continental army through the long years of the Revolutionary War, leading to the surrender of the British army at Yorktown in 1781, and to a peace treaty with Britain in 1783. Washington resigned his commission in 1783 and retired once again to private life. From Mount Vernon, he remained engaged in the politics of the new nation, concerning himself especially with the problems in the states and the weakness of the Articles of Confederation – the form of national government adopted at the conclusion of the war. He served as the presiding officer of the Constitutional Convention in Philadelphia in 1787, and subsequently lent the strength of his reputation to the campaign for ratifying the new constitution. Washington was elected president of the new government – the only president in the history of the United States to receive every electoral vote. He toured the states during his first term of office, in order to help attach the affections of the people to the new government by virtue of their admiration for him. In 1796, having served two terms, Washington decided that that was long enough for a president to serve. Up until the presidency of Franklin Roosevelt, presidents respected this “two-term precedent” set by Washington. A little more than two years after retiring, Washington died at Mount Vernon on December 14, 1799. Of the many remarkable and praiseworthy elements of Washington’s service to his country, among the most important is Washington’s insistence on maintaining the nation’s democratic principles at a time when the nation could very easily have turned to monarchy. Many in the founding generation became appalled at the problems with state governments following the Revolutionary War – especially the tendency of state legislatures to act upon the passions of the people and violate the rights of various minorities. Many were also concerned that the weakness of the national government under the Articles of Confederation was making it impossible for America to conduct foreign policy and keep the respect of other nations. Washington shared both of these concerns, yet when he was approached about the possibility of establishing himself as a monarch for the new nation, Washington refused, even though the admiration he enjoyed by his countrymen would have made such a proposition quite plausible. Instead, Washington urged patience, and pointed to the upcoming Constitutional Convention as holding out possibility for improving upon the government of the Articles. That Washington also voluntarily laid down the presidency after two terms, when he certainly could have gone on to serve a third term, demonstrates the remarkable magnanimity of the Father of our Country. The “XYZ Affair” refers to a dispute between the United States and France during the presidential administration of John Adams. Considered along with other incidents involving American relations with France, it helps to demonstrate the important differences between the American and French revolutions, which are often – mistakenly – equated with one another. The “XYZ Affair” specifically refers to a diplomatic mission of three Americans, sent by President Adams, to France in 1797. The French revolutionary government, having overthrown the government with which the United States had signed a treaty in 1778, had become increasingly belligerent to the United States due mostly to American reluctance to help France in its declared war against Britain and Spain. The French attitude was exacerbated by America’s signing the Jay Treaty with Britain in 1795, which resolved several lingering issues from the conclusion of the Revolutionary War and undermined certain principles of the American treaty with the previous French government. In the years leading up to the diplomatic mission, the hostile French attitude toward the United States manifested itself in several hostile acts, not least of which was the seizing of American ships by French privateers. In an attempt to diffuse the growing crisis, President Adams sent three representatives – John Marshall, Elbridge Gerry, and Charles Pinckney (who was already in France but had been rebuffed by the French government) – to France to attempt to negotiate a treaty. The three American representatives were refused an audience by the French government. Furthermore, three agents of French foreign minister Charles Maurice de Talleyrand – identified in diplomatic communications as agents X, Y, and Z – approached the American delegation suggesting the payment of loans and bribes to the French government, and the payment of a $250,000 bribe to Talleyrand himself. The American delegation refused, and when word of the French action was made known in the United States, there was a public uproar and a call in some quarters for war against France. President Adams diffused the crisis by sending a second three-man delegation to France in 1799, the result of which was the negotiation of the Treaty of Mortefontaine in 1800. The XYZ Affair was one of a number of incidents with the French revolutionary government. The most famous of these had been the incident with “Citizen Genet” during the presidential administration of George Washington. After the French declaration of War against Britain and Spain in 1793, French representative Edmond Genet was sent to the United States to secure its support and aid. When he was received in a less than enthusiastic manner by the Washington administration, which intended for the United States to remain neutral in the war, Genet engaged in a variety of activities in the United States without the support of the federal government. In particular, he attempted to raise troops to attack Spanish Florida and to commission privateers to attack British shipping. He even challenged Washington’s authority as president by threatening to go around him in a direct appeal to the American people. This led the administration to request his recall by the French government. In the interim, the French government had changed hands yet again in the rather unstable politics of France at that time, and Genet’s return would have meant his execution. Washington, therefore, allowed him to remain in the United States in a private capacity. These incidences help us to understand the important differences between the American and French revolutions. After all, many could not understand why the Washington administration, and the Federalists in general, were not more supportive of France, which had been a critical ally in America’s fight against the British monarchy. And many simply assumed that the French Revolution of 1789 (where King Louis XVI was overthrown and executed) was a twin of America’s own revolution. But the Federalists understood that there were important differences between the two revolutions. The American Revolution had been grounded on the principle that human beings had equal natural rights to liberty and property, and understood that the aim of any just government was to secure these equal, individual rights. The French Revolution, by contrast, was driven by a much more radical idea of equality – one that sought to establish an equality of conditions by destroying the rights of some French citizens to liberty, property, and even life itself. In the name of this false understanding of equality, the French revolutionary powers seized the property of the wealthy and engaged in a widespread campaign of murdering members of the propertied class. The radical egalitarianism of the French Revolution therefore required a rejection of the very things that Americans held most dear: the equal natural rights to life, liberty, and the pursuit of happiness. This explains why a good bulk of the American founding generation was appalled at the events in France – even more so because the French claimed to base their murderous revolution on America’s own. While Americans certainly supported the idea of overthrowing a monarch and establishing democratic government, the American Founders understood that when a government denied the natural rights of men, that was a tyranny. The French revolutionaries, in coming to power by means of violating the natural rights of a large number of citizens, had simply replaced one form of tyranny (by monarch) with another (by mob). The standard definition of the word “zeal” is to have an eager or passionate interest in the pursuit of some goal. One might say, for example, that Americans are currently “zealous” in their pursuit to uncover terrorist threats to the United States. The term also gets important usage in the debate over the American founding.In The Federalist Papers (#26), Alexander Hamilton uses the term “zeal” to refer to both the Federalists (those who supported the new Constitution) and the Anti-Federalists (those who opposed the new Constitution). The Anti-Federalists, Hamilton wrote, had an “ardent” zeal for self-government, while the Federalists had an “enlightened” zeal for it. In that particular instance, Hamilton was referring to the opposition by the Anti-Federalists to the need for a national standing army. Their opposition, Hamilton explained, came from the “ardent” zeal they had for self-government. In other words, they were so zealous or passionate in guarding against any threat to self-government, that they were blind to the necessity of giving the national government sufficient power and tools to do its job well. The Federalists, by contrast, were “enlightened” in their zeal for self-government, because they understood that the goal of stable, long-lasting self-government could only be achieved by giving the national government sufficient powers – including the ability to maintain a standing army. Hamilton’s arguments on this question help to demonstrate an important point about the larger principles of the American government. In the years leading up to the Constitutional Convention of 1787, many states had been so focused on guarding against any potential abuse of power by government, that they deprived the national government of any strength – or what the Federalists called “energy” – to do its job. A primary task or aim of the Constitutional Convention was to correct this mistake. We must keep in mind, as the Declaration of Independence makes clear, that the fundamental purpose of any government is to protect the natural rights of its citizens – that is the reason for which government is given any power in the first place. This is why The Federalist Papers point out the different ways in which a newly empowered national government was necessary to help protect the rights of the people: 1) it was necessary to protect them against the dangers of foreign attack; 2) it was necessary to protect them against the dangers of domestic insurrection – of infighting among the states themselves; 3) it was necessary to make sure that the state governments did not violate the private property rights of the citizens, which had been a huge problem in the 1780s. All of these aims required the national government to exercise real power – not to be used against the liberties of the people, as the Anti-Federalists feared, but to be used as a means of securing those very liberties, which the state governments had failed to protect in the early American experiments with self-government. Much of The Federalist Papers is dedicated to showing that simply because a government is to be democratic, simply because it is to be based upon the consent of the people, does not mean that it does not need strength or energy. But The Federalist Papers also realize that, just as strong government can be a means to securing the people’s liberties, it can also be used to threaten those very liberties. And so the framers designed the national government in such a way to make the abuse of power less likely. The main way in which this was done was through the general “separation of powers” arrangement of the national institutions. Under this arrangement, the national government was given significant power, but that power was divided among several different sets of hands. Each part of the government would, therefore, be responsible for checking the other parts and making sure that they kept within their constitutional limits. There are many other particular ways that the design of the national government helps to guard against the abuse of the significant powers that are granted to the national government. Perhaps most important among these is the principle of federalism, where power is divided not just within the national government itself, but also between different levels of government. Freedom is a great blessing; it is man’s natural right. Free society offers maximum opportunities for human prosperity and happiness. But freedom is also a great responsibility. More is required of a free people than any other. They must be informed, civic-minded, and self-reliant. In addition to thinking of themselves as individual men and women, and as members of families, churches, and other private associations, Americans must think of themselves as citizens of a free country. The Alphabet of Freedom is a summary of the principles, institutions, and practices of American constitutional government and free society. In his First Inaugural Address, George Washington described what was, and still is, at stake in the great American experiment in freedom: “The preservation of the sacred fire of liberty and the destiny of the republican model of government are justly considered as deeply, perhaps as finally, staked on the experiment entrusted to the hands of the American people.” If freedom cannot flourish in America, it likely cannot flourish anywhere. On the other hand, if America succeeds, it becomes a model for people around the world who love liberty and seek to make their own governments freer. The destiny of America is in our hands. America trusts its future and its security to each new generation of Americans who can and will make America what they want it to be. All American citizens should take ownership and pride in their country because, in truth, this land is their land. But Americans must always remember that their own well being, and the well being of their families and friends, is intrinsically connected to the well being of our country. It is to our advantage, and it is our duty, to make America the best it can be. In carrying out this duty, we can find no better guidance than the principles of freedom, the abc’s of freedom that form the Alphabet of Freedom.